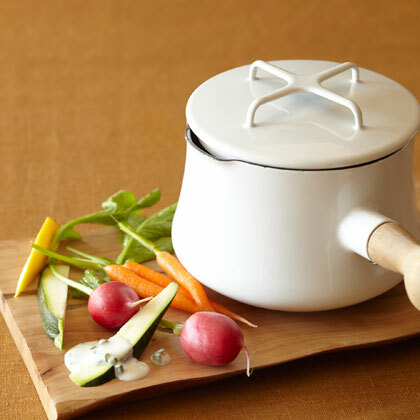 Heat a small saucepan over low heat; add goat cheese and skim milk. Bring to a simmer, whisking until goat cheese is melted. Add butter, whisking well. Season with salt, pepper, and freshly ground cumin; stir in chopped chives and minced shallots. Serve with raw vegetables.